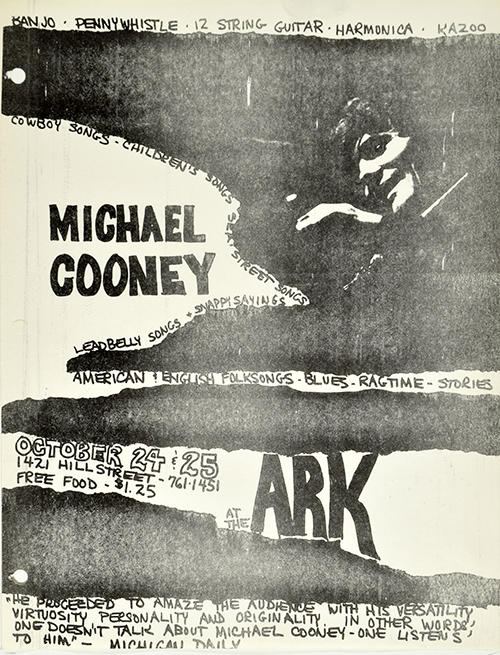 Performer and writer Michael Cooney (b. 1943) was the first act featured at the second location of The Ark in 1984. His musical interest emerged early and continued to develop during two years spent hitchhiking and riding freight trains. Cooney’s expertise includes six- and 12-string guitars, banjo, fretless banjo, concertina, harmonica, penny-whistle, jaw-harp, and other small instruments. Rather than record and release music, he has focused on memorizing and performing songs live. 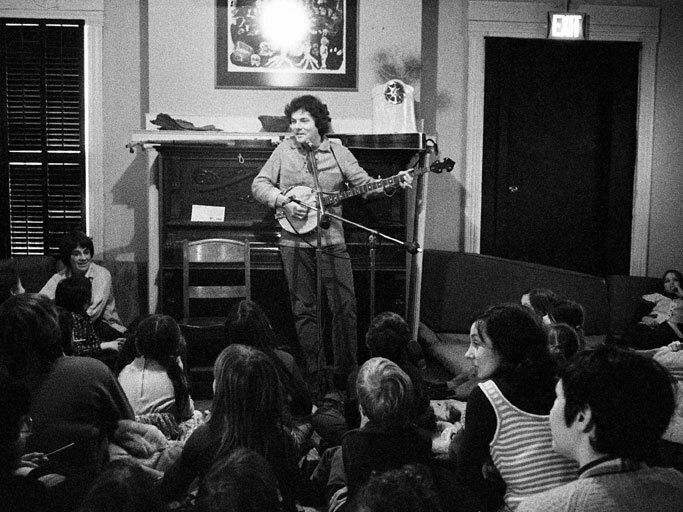 Among Cooney’s influences are Pete Seeger, Sam Hinton, and fellow performer Grady Tuck. 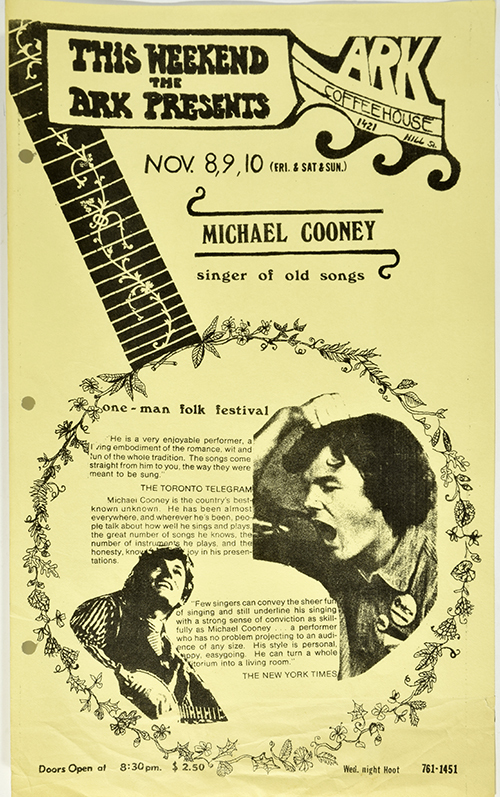 Cooney’s involvement in the folk revival includes organizing and supporting events such as the Newport Folk Festival (Newport, R.I.), National Folk Festival (Washington, D.C.) and the Mariposa Folk Festival (Orillia, Ont.). As a writer, Cooney has been a columnist for Sing Out!, founded the popular Friendship Letter newsletter which ran for fifteen years, and continues to blog at his personal website.